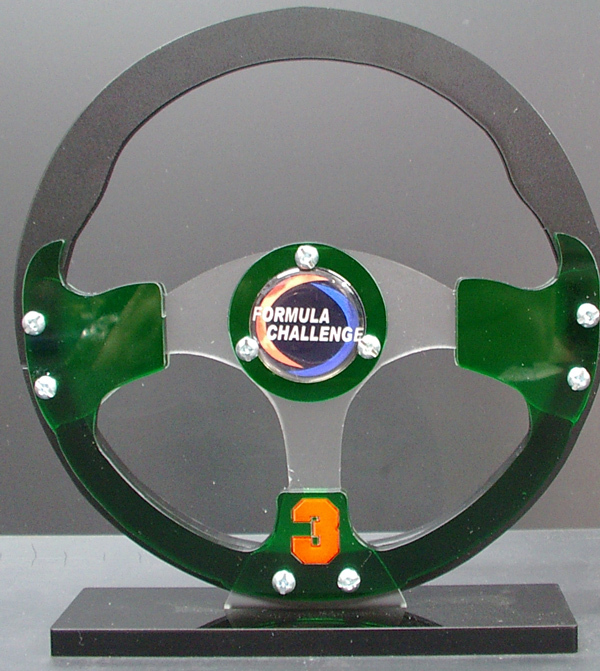 Racing steering wheel trophy suitable for all types of motorsport. 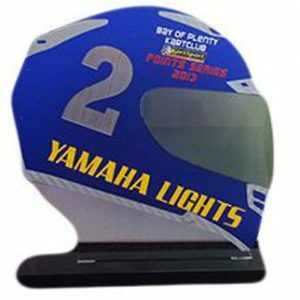 These are a totally unique (3D effect) and affordable trophy made by us and can be completely personalised, including Club/Team name, Award eg (MVP), Year, Drivers Name and Number and Postion as well as 10 choices of colour tints. 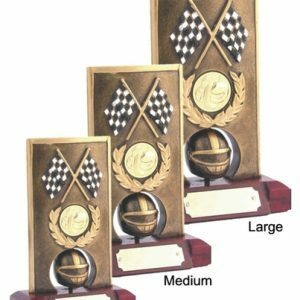 Minimum purchase 5 trophies due to set up time. Price includes engraving and you can also choose your font. You can add as much or as little engraving detail as you like. Engraving will be on a mirror silver plate on the top of the base and in full colour so logos are no problem. Made from multiple colour tinted (see through) 3mm acrylic on a 4.5mm matt or gloss black acrylic base. Choice of 10 colours include, red tint, blue tint, green tint, yellow tint, amber tint, bronze tint, grey tints(s), fluro green and fluro pink tint. 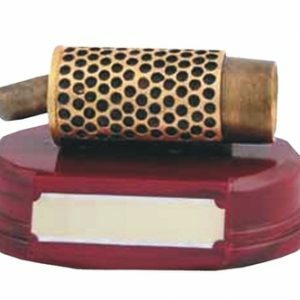 An affordable, very cool and surprisingly strong trophy that makes a change from a gold figurine on a base. Proofs can be sent free of charge. Expected delivery to you is 7-10 days. You can request a different font in 'Additional Information'. 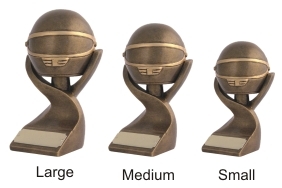 choice@engraveit.co.nz (after your purchase) with engraving instructions.